A very important aspect of any yearly-repeated event is the fresh, original content it can provide its visitors and participants. 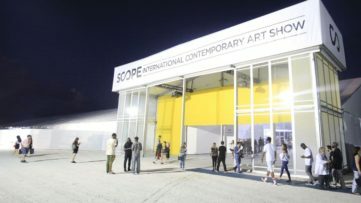 To maintain a certain level of success, or even develop further in the plethora of popular art fairs and events, the programme and the show must grow. 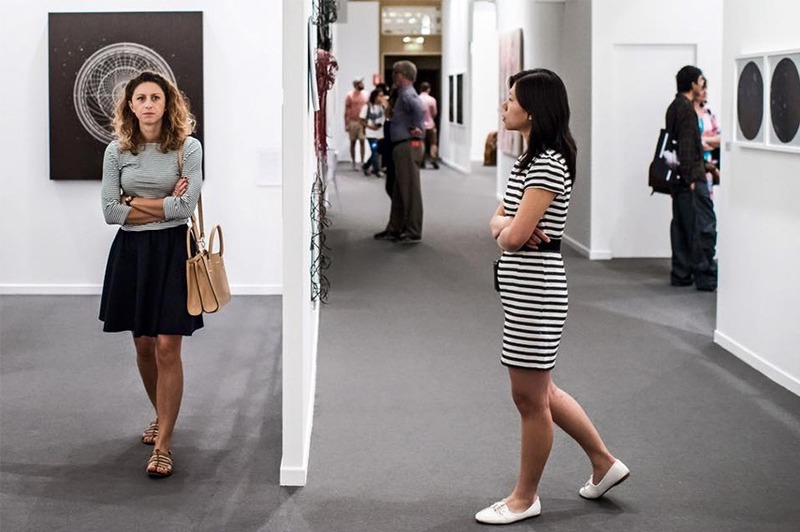 Art Dubai is certainly keeping its solid position in the art scene by introducing more and more global artists and galleries and spreading their international community each year. 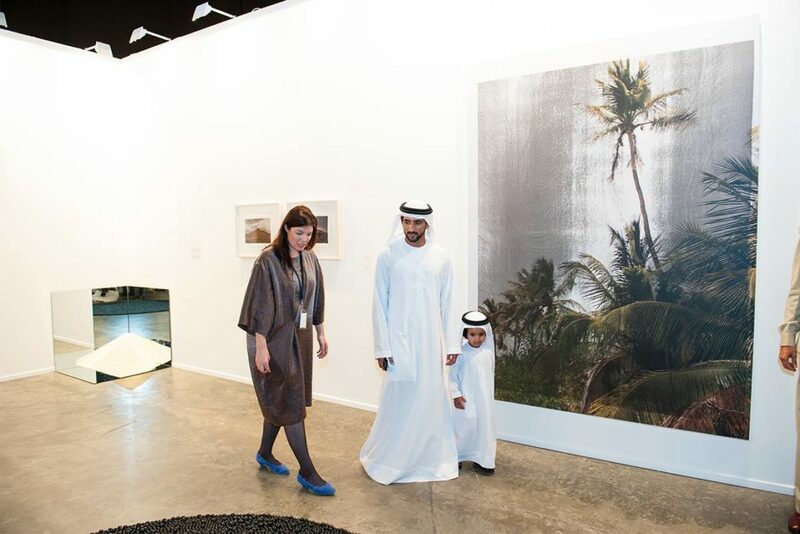 The 2016 iteration of the art fair brings together more countries and nationalities than ever before, presenting the largest and most diverse gallery line-up to date. 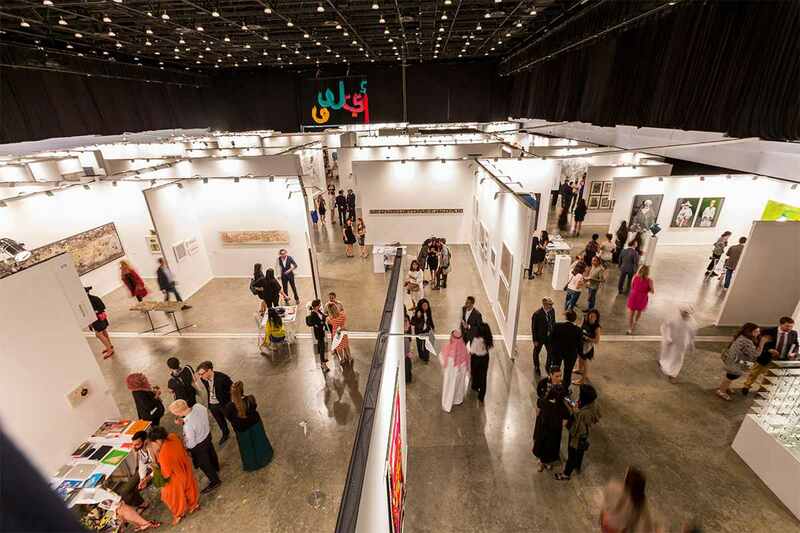 More than 500 artists represented by 94 galleries from 40 countries are participating in Art Dubai 2016. This amazing roster of creators will showcase an impressive artwork collection of more than 3,000 paintings, prints, sculptures and photographs for every taste and pocket. The pieces on sale will range from $100 – $10,000, providing the visitors with an array of enticing offers. With so many different styles, techniques and genres accumulated in one place, it’s hard to make a choice and pick out any specific highlights, but we shall do our best anyway! 10th anniversary of Art Dubai will be celebrated through a special visual campaign designed to commemorate this milestone, not in a nostalgic way, but rather as a proud overview of the previous accomplishments. The organizers humbly stated that 10 years is not that long in ‘fair years’, so they tried to mark the date by linking it to many things that happened in the decade. From the substantial focal points to the quite simple ones, the campaign’s imagery deals with a list of events broken up into different themes. About a third of the imagery relates to the region, while the rest are international, with this approach, the hosts wish to entail an “organic” process. From the local and regional gallery veterans, which have been with Art Dubai over the course of the past decade, these are some of the highlights. The Third Line gallery was founded in 2005, and it has been proudly exhibiting contemporary Middle Eastern artists, locally, regionally, and internationally. 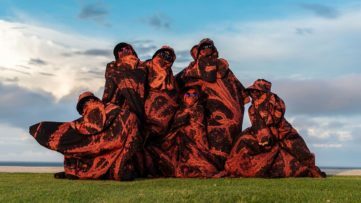 Another gallery based in Dubai, Green Art Gallery will present its program of a multigenerational mix of contemporary artists from the Middle East, South Africa and beyond, spanning works from a variety of different media. Coming from Bahrain, Albareh Art Gallery brings its programme dedicated to promoting of contemporary art from the Middle East, with an emphasis on uncovering new talents and curating unique concepts. Founded in 1994, Galerie El Marsa aims to promote artists from the Arab world and beyond, with an accent on a shared sense of humanity and emotion, bringing forth a variety of coexisting attitudes and strategies in contemporary art. In 2016, Art Dubai’s curated thematic gallery programme, Marker, focuses on the Philippines. Highlighting the dynamic, independent art scene in Manila (the capital of the Philippines), the art fair is welcoming the Manila-based artist, curator and researcher – Ringo Bunoan. This year’s programme represents the first such showcase of the Philippines at any major international fair, and the first exhibition of such kind in the Middle East, Africa and South Asia. Ranging from modern masters like Roberto Chabet, to a new generation of contemporary artists, artist-run spaces from Manila will showcase a variety of works of around 20 Filipino artists. As in previous editions of Marker, the programme aims to nurture and broaden the cultural exchange between its focus country and the gulf. Among others, artist-run spaces 98B, Project 20, Post Gallery and Thousandfold will be included at the exhibition. The featured spaces have long been crucial for the development of Filipino contemporary art, supporting alternative art practices, communities and economies, while allowing local artists to create and present works outside of the conventional frameworks of museums and commercial galleries. 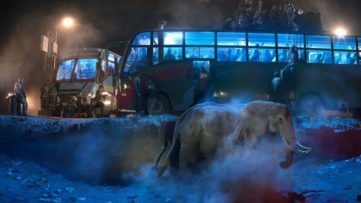 A few more highlights worth noting are definitely The Abraaj Group Art Prize and the Global Art Forum. AGAP is the most significant prize in the Middle East, North Africa and South Asia, recognized globally for its generous and innovative support of artists. The 2016 AGAP winner is the artist duo Basel Abbas and Ruanne Abou-Rahme. The duo will be awarded with $100,000 for production of a “dream project”, which will then be revealed as part of a group exhibition at the tenth edition of Art Dubai. Curated by the Guest Curator, in this case – Nav Haq, the show will also feature works by three shortlisted artists who each received a cash prize of $10,000. 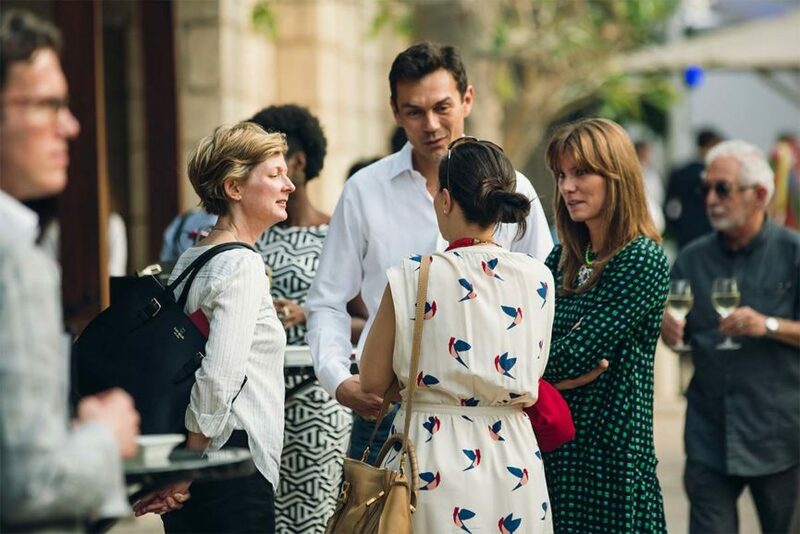 Global Art Forum is the debate part of the programme, where a diverse line-up of artists, curators, musicians, strategists, thinkers and writers are gathered to present and discuss ideas around a curated theme. This year’s theme is ‘the future’. Named The Future Was, the Forum will convene the most compelling minds from across and above planet Earth to share the untold histories and speculative stories. Does it feel as if the future was once ahead of us, far away, but now the future surrounds us in our present, on our screens, with each compulsive finger-swipe? What were the great dreams of what was to come? What will they be? These are some of the questions to be tackled in the interesting debate.